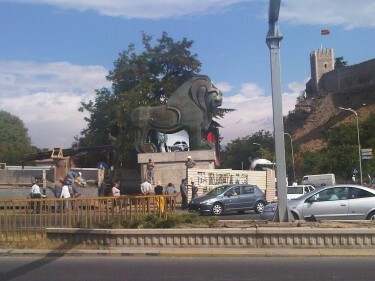 Okay, the lions are here, we only lack: the Hyenas , Timon and Pumbaa . #Skopje2014 … [“Hakuna matata “]. Probably the first blogger on the scene was Zoriv, who published  [MKD] a small photo-gallery and his impressions, stating that the statues reminded him of his visit to István Szécheny Bridge  in Budapest, Hungary, 30 years ago. 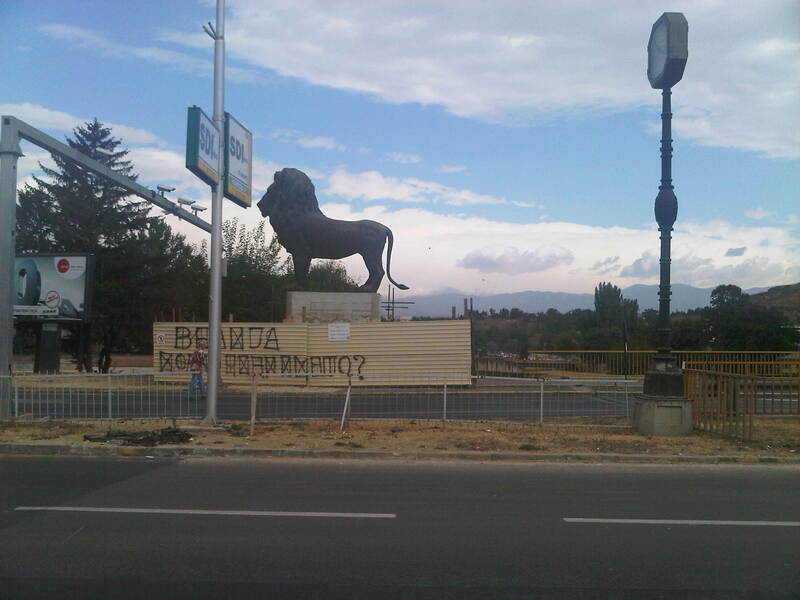 In a comment to this post, antiseparatist said that these “are Bulgarian lions” from Lion's Bridge  in Sofia. 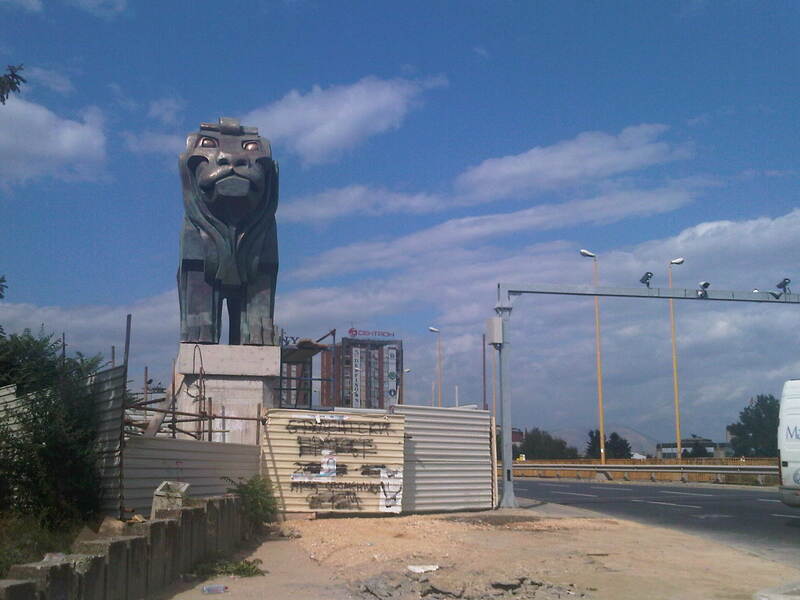 During the same week the media and the public shared two “important” news: “the lions arrived” and “the money for the Anti-corruption Commission  failed  [MKD] to arrive.” One might think that the overlap is accidental and random, a mere coincidence of timing. But no, there's more to this. In his satirical TV show, blogger  and journalist Jovan Postoloski  shared footage  [MKD] of Janev saying that such questions show bad taste and are almost equal to swearing, as well as trying to deflect by asking the reporters about their salaries. 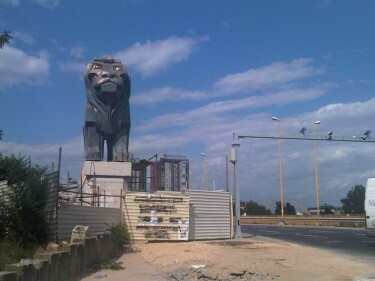 The total price for the lions is around EUR 2.3 million, with the lion's share allegedly going to Fernando Marinelli foundry  of Florence, Italy. A joke related to this was that the ‘wealthy’ Macedonia is benevolently helping the ‘poor’ Italian economy to overcome the global economic crisis.